My 2009 top consists in a vast majority of titles released this year since I focused more on the new releases. I also included this year 4 more classifications for some of the reading aspects I enjoy the most in a book. 1. “The Angel’s Game” by Carlos Ruiz Zafón - I can’t honestly say that I enjoyed more “The Angel’s Game” than “The Shadow of the Wind”, but the fact that reading it with high expectations set by “The Shadow of the Wind” and all of them being fulfilled didn’t came as a surprise must have a role in my opinion. 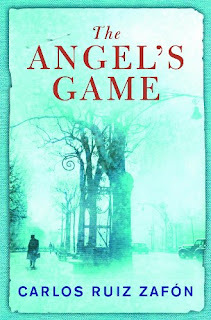 For certain though “The Angel’s Game” is the best book I read this year and the way Carlos Ruiz Zafón plays with emotions and the way he crafts his stories made me fall in love with his works. I just wonder what Carlos Ruiz Zafón has in store for me next? 2. 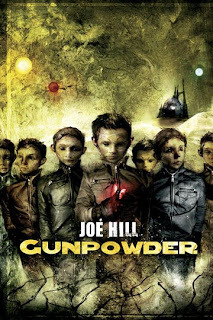 “Gunpowder” by Joe Hill - Like I said it is impossible not to compare Joe Hill’s works with those of his father, but with pieces such as “Gunpowder” Hill proves that has his own path to follow and new and wonderful things to bring in the world of literature. 3. 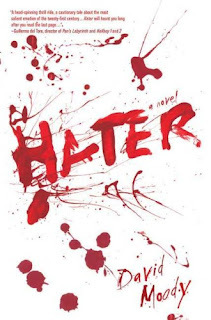 “Hater” by David Moody - “Hater” offered me from the first setting an exhilarating and thrilling reading. David Moody creates such a realistic scenario and a believable story that I believe that his novel can give reasons for nightmares. 4. 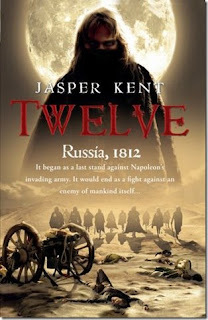 “Twelve” by Jasper Kent - It is hard for me to set “Twelve” in a particular category, because the novel is an original one and its characteristics and setting can satisfy the readers of different genres. But it is easy for me to say that Jasper Kent proves great talent and imagination and its debut is an excellent and powerful one. 5. 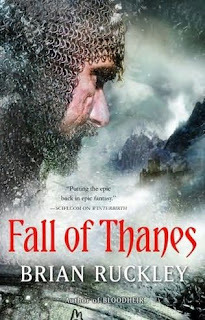 “Fall of Thanes” by Brian Ruckley - “Fall of Thanes” offered me a conclusion of “The Godless World” trilogy that it wasn’t expected by me, but which satisfied me in the fullest and which makes the waiting for a trilogy to unfold its events until the end worthwhile. 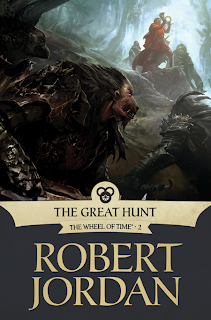 From the first steps taken in my journey through “The Godless World” trilogy and until the last step of that journey I loved Brian Ruckley’s series. 6. 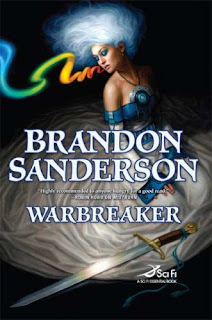 “Warbreaker” by Brandon Sanderson - Wonderful world-building, with very interesting magic, political and theological system. And with voices like that of Brandon Sanderson I am certain that I will bath in titles from my favorite genre for a long time. Review to follow soon. 7. 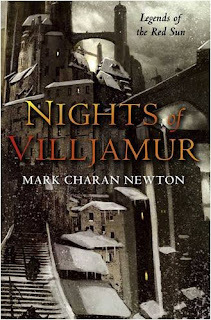 “Nights of Villjamur” by Mark Charan Newton - I was caught in the spell of “Nights of Villjamur” but the end of the novel didn’t bring my release and I was left wondering about the outcome of its story. 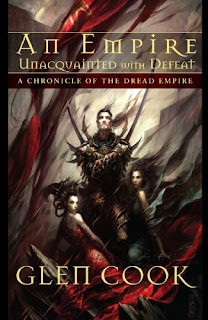 Mark Charan Newton shows in his novel a great potential, for him as a writer and for his fantasy series, “Legends of the Red Sun”, and I believe that he can sit without question in the hall of the new names of epic fantasy writers and bring his contribution to a great new generation of such authors. 8. “The Riyria Revelations” by Michael J. Sullivan (“The Crown Conspiracy”, “Avempartha” and “Nyphron Rising”) - Michael J. Sullivan is not a surprise for me anymore, but an author that already established his place within the fantasy genre. 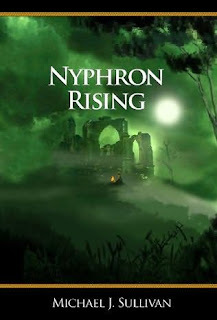 “Nyphron Rising”, like Sullivan’s previous novels, offers an adventurous tale and a captivating story, returning to the roots and values of the classical fantasy. 9. 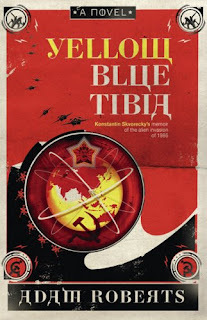 “Yellow Blue Tibia” by Adam Roberts - The novel of Adam Roberts is garnished with action scenes, a steady and quick pace, very good humor and a unique love story, but above all “Yellow Blue Tibia” is one novel I wished it didn’t end. 10. “The Company” by K.J. Parker - I believe that K.J. Parker’s “The Company” is not the usual fantasy novel and will not appeal to every reader. 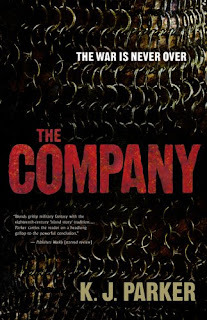 I enjoyed quite a lot “The Company” for the great in-depth characterization and for its psychological aspects which brought me through the slow moving pace to the end of the story, an end which same as the novel will not appeal to every reader. Some intriguing titles on that list. 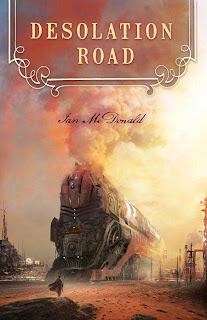 Desolation Road really grabbed my eye with that cover. What's that one about? I may have to look that up in 2010. I'm really enjoying seeing the different "best of 2009" lists that the different blogs are putting together. I just picked up Shadow of the Winds at a second hand bookstore though I'm not familiar with this author at all. Warbreaker was definitely one of my favorite books of the year and I'll have to check out the rest of the books you listed as I haven't heard of most of them. I've seen TWELVE on a lot of Best Of lists. I'm definitely going to have to seek it out in 2010! EXCELLENT list, Mihai! We are in complete agreement for the most part :) I'm actually in the middle of reading "The Angel's Game" and absolutely loving it. I agree that it's not quite as good as "The Shadow of the Wind," but it is still a completely magical experience! Ben, I wonder if for me "The Shadow of the Wind" will be matched by another book soon, because it was the best novel I read in years. "The Angel's Game" just confirmed me that Carlos Ruiz Zafon is an excellent writer. A really good list. I read three books from your list including The Angel's Game. It was good. 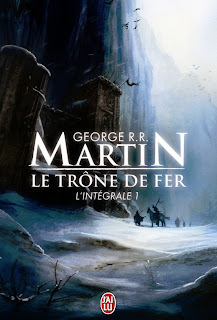 But I chose another book. Wish you all the best for 2010. 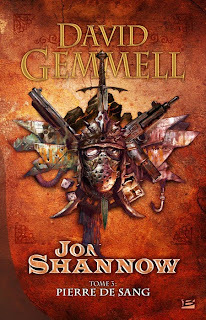 The David Gemmell Award wants you!